Teodoro Miciano studied architecture and fine art and specialised in engraving, etching and lithography. Later he became a professor at the Escuela Superior de Bellas Artes de San Fernando (San Fernando School of Fine Arts, Madrid). 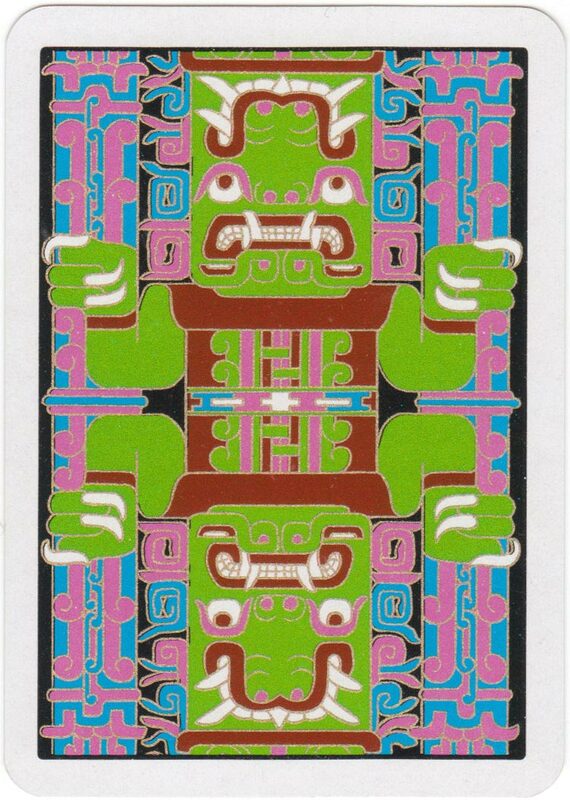 The richly illuminated cards portray Pre-Columbian artwork. 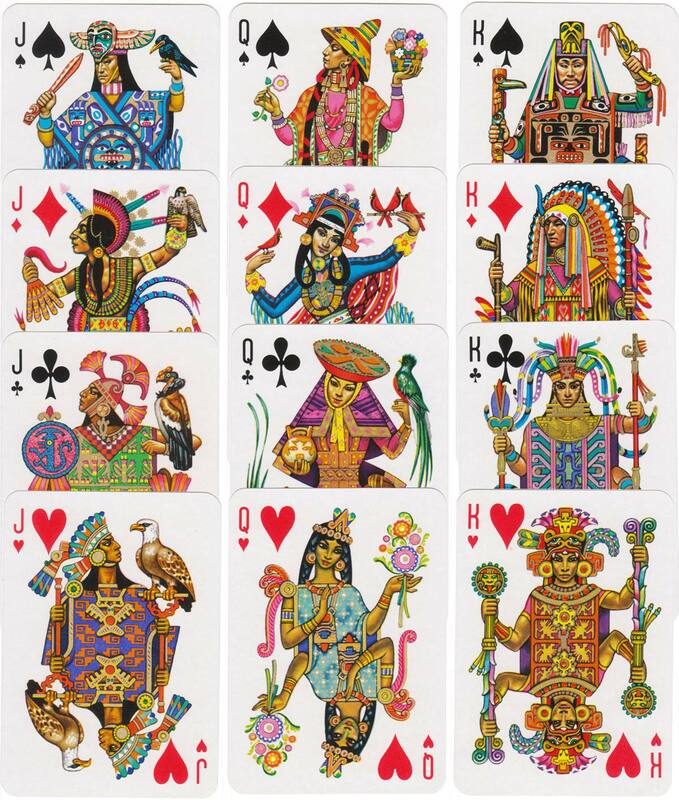 Spades depict Northeastern Native Indians; diamonds show North American Indians; Clubs portray the Incas and hearts the Aztec civilisation. Above: “America” playing cards designed by Teodoro N Miciano (1903-1974) and published by Heraclio Fournier S.A., 1960 & 1970. 52 cards + 2 jokers in box plus 2 booklets. This is the second edition of 1970. 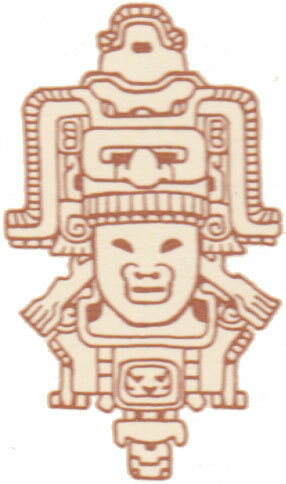 The four of clubs has the black exportation tax stamp used after 1964. Scans of cards courtesy Rex Pitts.